"Easily decodes all QR codes"
App description: QR Barcode Scanner is a barcode reader that lets you scan, decode and create QR bar codes using smartphones. Activities: The app lets you decode QR, text URLs, ISBN, email, contacts, calendars, event codes with a single click. How to use: To read the bar code, you must use the mobile device's camera. Recommendations: People looking for a free bar code reader for smartphones. Installation requirements: A minimum of 4.45 MB of free memory space and Android 2.3 or higher. Rating: The TOP 5 Most popular Apps in Barcode Scanner category. Ranking: The TOP 5 Most downloaded applications in Barcode Scanner category. The interface is organized, providing easy access to functions. Lets you share QR codes via email, SMS and social networks. You can quickly your their own QR bar codes. The sensor doesn't always work. The app is not compatible with all Android devices. 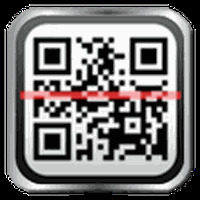 Do you like QR BARCODE SCANNER?